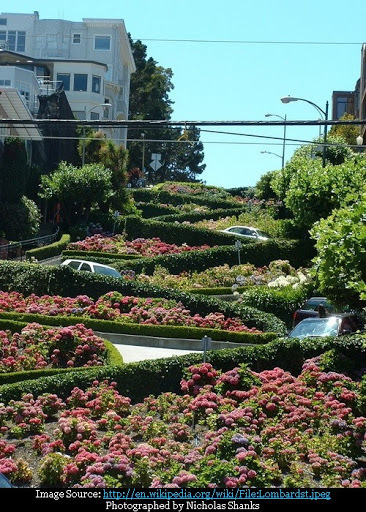 A portion of Lombard Street in San Francisco is reportedly most "Crooked Street" in the World with eight sharp hairpin-bends within a span of about 400 metres (1/4 miles). 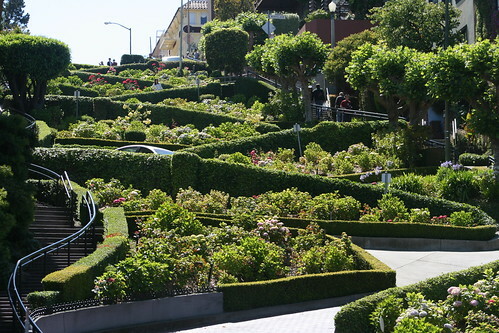 Although the actual Lombard Street is quite long but most of the tourists refer to this small section on the Russian Hills as the Lombard Street. 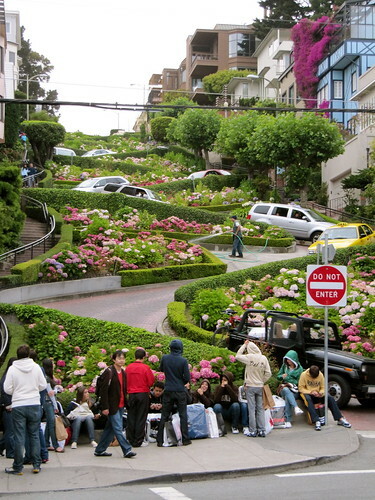 It is a big draw with tourists who want to take atleast one trip down the street. This small section of the hill has very high gradient of 27% which is too steep for vehicles. 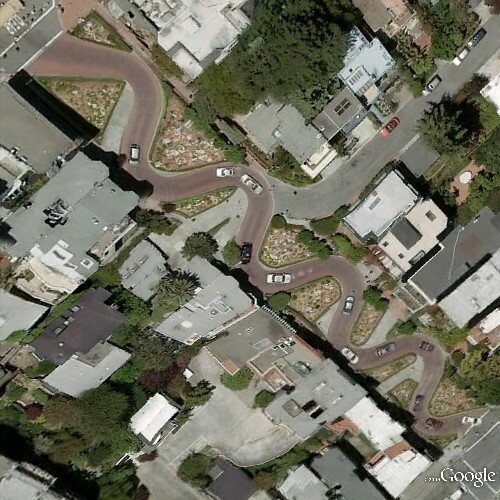 A winding road was therefore built around 1922-23, which has earned it the title of Crookest Street. It is paved with red bricks and only downhill vehicular traffic is allowed on it with a speed limit of 8 km/hours. There is a paved stairway also for the pedestrians. The space besides the roads is filled with annuals which bloom year round. I was there in May 2000 and was awe struck the curvy road but the real treat to the eyes was the riots of colours of the flowers which were in full bloom. Wow..Place is Lokking to be Good. I have heard lot about SF. I am planning to go there in this vaction of christmas. Let me check my ticket on ECT.